START DATE & TIME: Tuesday, June 26, 2018 2:00pm PST (check your timezone). If 7 days from class start time has passed, you can find the next available class here. 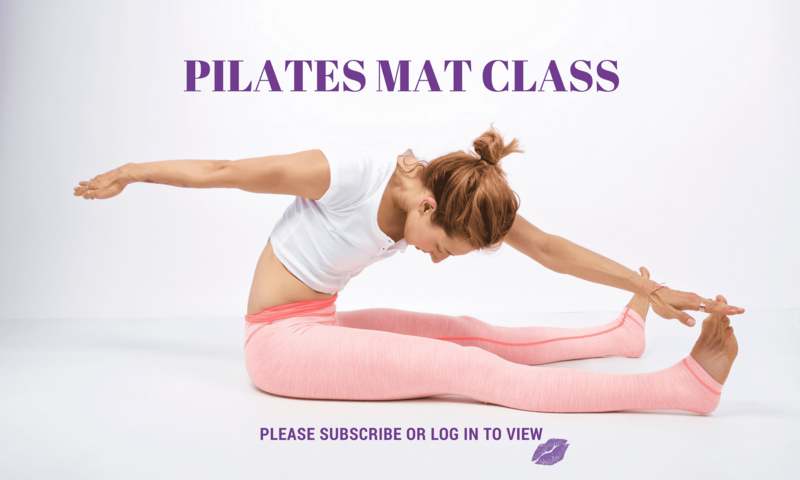 DESCRIPTION: Ever see some of the Pilates Mat exercises and think that they are too advanced for you? Jackknife, High Scissors/Bicycle, Control Balance and Corkscrew all require us to go upside down! But, how do you do that and not feel compression in your lower back? Or, how do you lift your whole body up and not rest in your neck? Well, this week we take a look at what it really means to stand on our shoulders! I loved playing with this week’s class and not only did I feel more lift I also got a ton of stretch. It’s so easy to make exercises look right. But, if we focus on anchoring aka standing on our shoulders we can actually do them right! Have fun standing on your shoulders this week! Next PostNext 7/3 Pilates Mat Class: Just Roll Up With It!